Halloween can be a tricky time for families with nut allergies. Halloween is just around the corner, and for families with kids who have peanut allergies, like Tia Mowry's, it can be a scary time. After all, so much of the candy given out to trick-or-treaters includes nuts, and even candy without nuts may be processed in the same facilities and contain trace amounts. The temptation and confusion for kids with nut allergies is enough to make anxieties soar. And, for good reason. One in fifty kids is allergic to peanuts and these allergies can be life-threatening. Even trace amounts smaller than a grain of sand can cause severe (and we'll say it again, life-threatening) reactions. While families with these allergies know how serious they can be, those who aren't directly affected often don't know what they can do to help protect other people's children beyond simply sending nut-free foods to school and washing hands thoroughly after handling anything with peanuts. 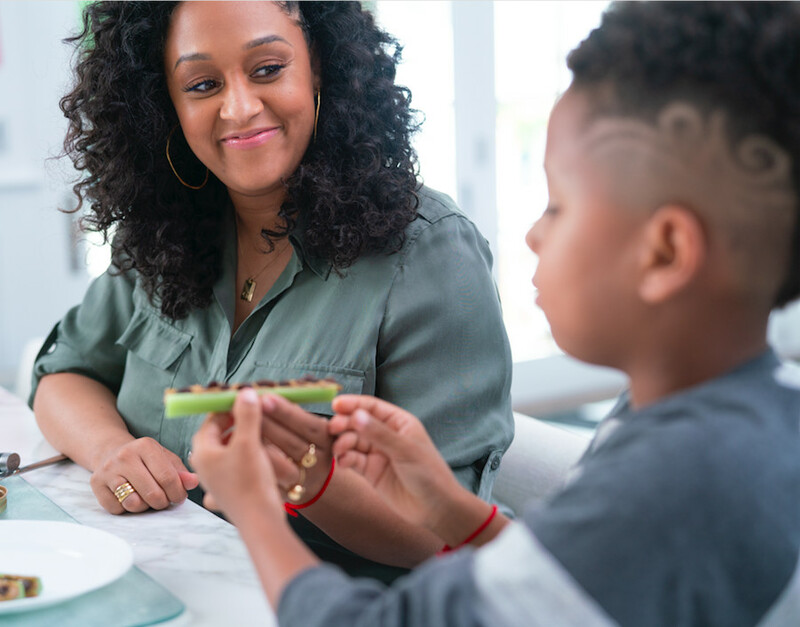 Thankfully, Tia Mowry was willing to connect with us and share some of her own advice and insights as the parent of a child with a peanut allergy. Mabel + Moxie: What can families do to help support kids with food allergies in their community? Tia Mowry: It’s important that families educate themselves and know that we all play a role as co-protectors in being vigilant to prevent accidental exposure. No matter how prepared we are, the reality is that exposure to peanuts can still happen despite a family’s best efforts. Avoidance can be very difficult, because even trace amounts of peanut can trigger a potentially severe, life-threatening reaction. I am sharing my story for the first time with the hope that I can help parents of the 1.5 million children in the U.S. with peanut allergy better advocate for themselves and their children. I recommend visiting TalkingPeanutAllergy.com where you can sign up for more information and download helpful resources. M+M: What can families not affected by peanut allergies do to make kids with peanut allergies feel more included? TM: I would say that if you are a parent of a child without a peanut allergy that it is important to educate your child so that he/she knows they play a role in protecting their classmates with peanut allergy and that it is not something to laugh at or make fun of. By speaking out, I really want to elevate the national dialogue surrounding the challenges of living with peanut allergy, because being a parent of a child living with peanut allergy is serious and stressful. M+M: Are there any tricks to quickly deciphering packaging to tell whether something has nuts? TM: While there aren’t any particular tricks, it’s so important to read all packaging carefully because even a trace amount of peanut can cause a potentially life-threatening reaction. M+M: What are some good protein alternatives to offer kids with nut allergies? TM: I’ve discovered that there are healthy substitutions to peanut butter, like sunflower butter. Ants on a log is a fun snack you can make for kids, and it is easy to assemble with just celery, raisins and sunflower butter. M+M: What is it like to be a parent of a child with a peanut allergy on Halloween in particular? TM: Halloween is hard. A child feels isolated as it is all about candy. People don’t have separate jars for peanut candy and non-peanut candy. Halloween becomes about this conversation of “Mommy, can I eat this?” the whole night. It is important for me to make peanut-free treats for Cree to make sure he doesn’t feel left out. For example, making a clementine pumpkin is a simple, fun recipe made with clementines and a celery stick. 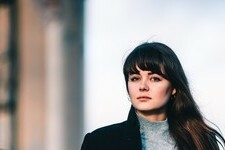 Check out more aweome advice from Tia at Talking Peanut Allergy, and be sure to watch her relatable and educational videos there.